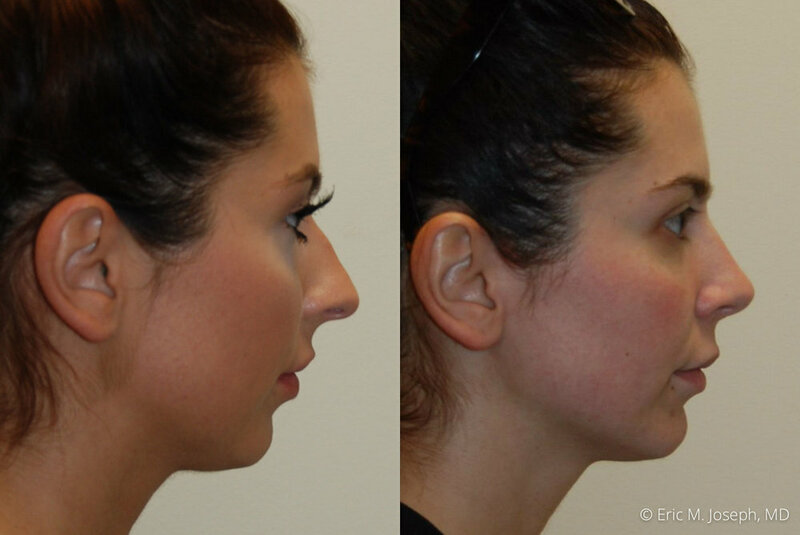 Rhinoplasty Surgery can dramatically improve your self-confidence and help you look and feel your best. If you're unhappy with the appearance of your nose, Rhinoplasty can lead to a more attractive, pleasing nasal appearance. To improve nasal breathing, Dr. Joseph may correct deviated nasal septum's at the time of Rhinoplasty Surgery. Dr. Eric M. Joseph is a dual-board-certified ENT and Facial Plastic Surgeon, and is one of the few area surgeons who has completed Advanced Fellowship training in Rhinoplasty Surgery through the prestigious American Academy of Facial Plastic and Reconstructive Surgery. Over the last fifteen years in private-practice, Dr. Joseph has consistently delivered completely natural, "un-operated" results to hundreds of satisfied patients. Dr. Joseph’s Rhinoplasty Surgery techniques can reshape and refine your nose, making you feel better about the way you look. Many of your nasal features may be modified with Rhinoplasty Surgery. 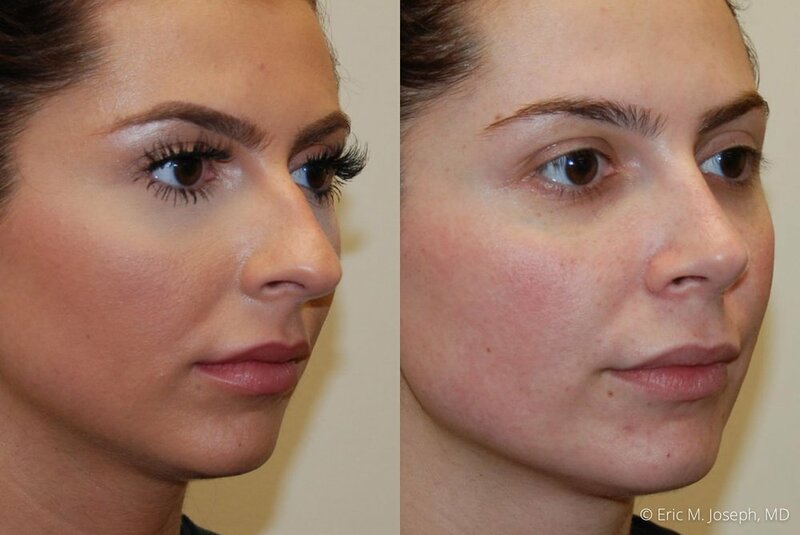 Dr. Joseph can reduce or increase the size of your nose, change the shape of your tip or bridge, narrow the span of your nostrils or change the angle between your nose and your upper lip. Computer imaging will be used during your Cosmetic Consultation to show you how you'll look after your Rhinoplasty Surgery. Rhinoplasty Surgery typically lasts less than 2 hours, and downtime is less than 2 weeks. After your Consultation with the Dr. Joseph, you'll meet our aesthetician who will match your foundation color. When your dressing is removed one week after surgery, we'll show you how to conceal temporary bruising with our post-op, organic makeup kit so you can get back to work and social activities quickly. Dr. Joseph is dedicated to excellence in Rhinoplasty Surgery, and he will work to exceed your expectations and deliver the nose of your dreams. If you looking for a caring, experienced specialist practicing Rhinoplasty exclusively- please Contact Us today. Particularly if you reside in the New Jersey, New York area. You'll see as soon as you meet Dr. Joseph that Rhinoplasty is his passion, and that your complete satisfaction is his personal guarantee. Read Dr. Joseph's testimonials from some of his gracious patients. Rhinoplasty starts at $8,900 and Revision Rhinoplasty Starts at $11,900. These are the base fees. Anesthesia and facility fees are directly dependent upon how much time is spent operating in the OR. Generally, a primary rhinoplasty takes 2 hours and a revision rhinoplasty takes 3 hours and sometimes more depending on the difficulty of the case. Where will my Rhinoplasty take place? 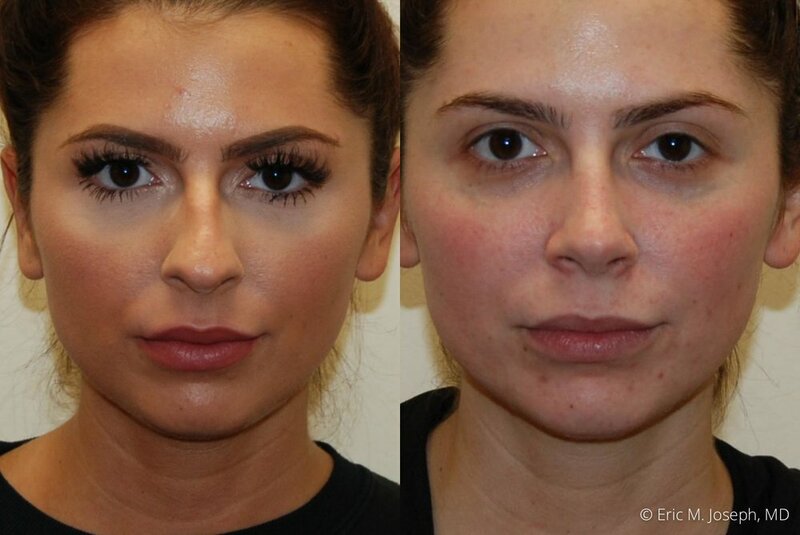 Dr. Joseph performs rhinoplasty surgeries at a surgery center in Montclair, NJ. The facility is located approximately 15 minutes from the office in West Orange. On the day of surgery, you will go directly to the surgery center. Both Montclair and West Orange, New Jersey are easily accessible by bus and train from New York City (Approximately 30-45 minutes from NYC). The best way to determine if rhinoplasty is right for you is to schedule a consultation. An open discussion with a rhinoplasty expert who can examine your nose. Our happiest rhinoplasty patients have been people with strong negative feelings about their noses for a long time who experience marketed improvements in self-confidence. Are there alternatives to rhinoplasty surgery? Non-surgical rhinoplasty is a popular alternative to surgical rhinoplasty. In our office, we perform permanent non-surgical rhinoplasty using Silikon 1000. The average post-surgical downtown is 1-2 weeks. During the first week, you will wear a cast and experience some bruising around the eyes. Generally, after the cast comes off on the seventh day, patients resume regular daily activities. Extra precaution must be taken to avoid situations that pose a risk to your nose, like crowded places. Patients may safely resume exercise after two weeks. After the initial two week period healing period, it is important for patients to listen to their instincts about what level of activity it right for them. The majority of swelling will subside within three months. It takes about one year for all swelling to resolve. Patients with thinner skin tend to see swelling resolve sooner than patients with thicker skin. It is important to be patient and take care of the nose until healing is complete. In our practice, we exclusively use an open, or external approach for nearly all rhinoplasty surgeries. The open approach enhances exposure and allows for precise nasal reconstruction. Some surgeons prefer a closed approach, which avoids an external incision. The choice of an open or closed rhinoplasty is typically determined by the training of your surgeon.